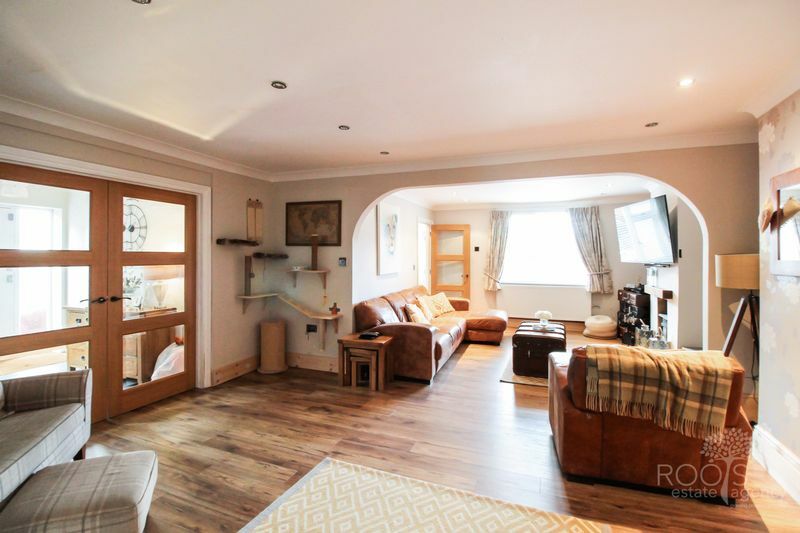 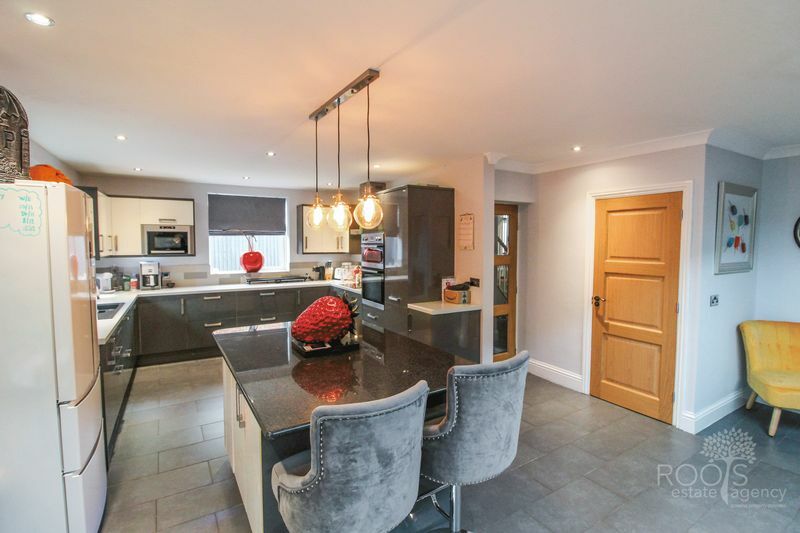 A mature semi-detached house, cleverly extended to create a much larger family home with the additional benefit of a separate outbuilding and business consent for its current use as a salon. 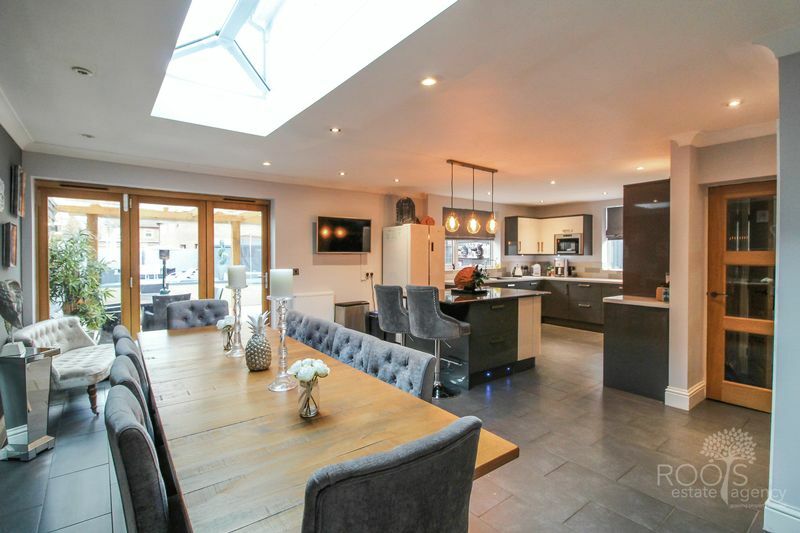 The main building's feature is the generous kitchen/family room with its granite surfaces, kitchen island and roof lantern providing an abundance of natural light over the dining area. 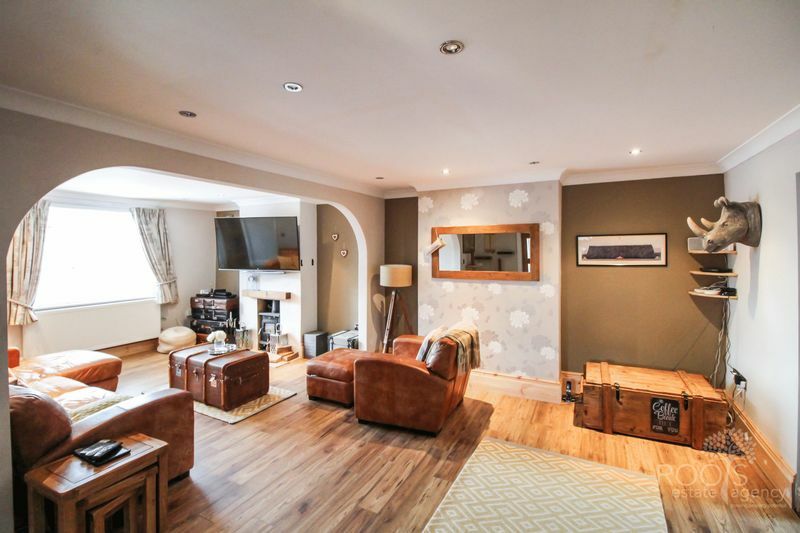 There are two main reception rooms including a living room with a wood burning stove and a separate playroom that could also be used as a study. 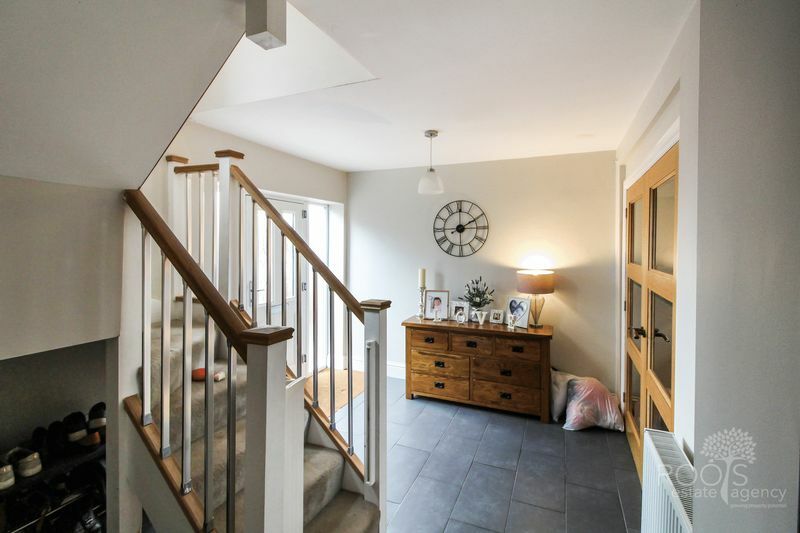 The main entrance hall at the side boasts a turned staircase, access to a cloakroom and a separate utility room. 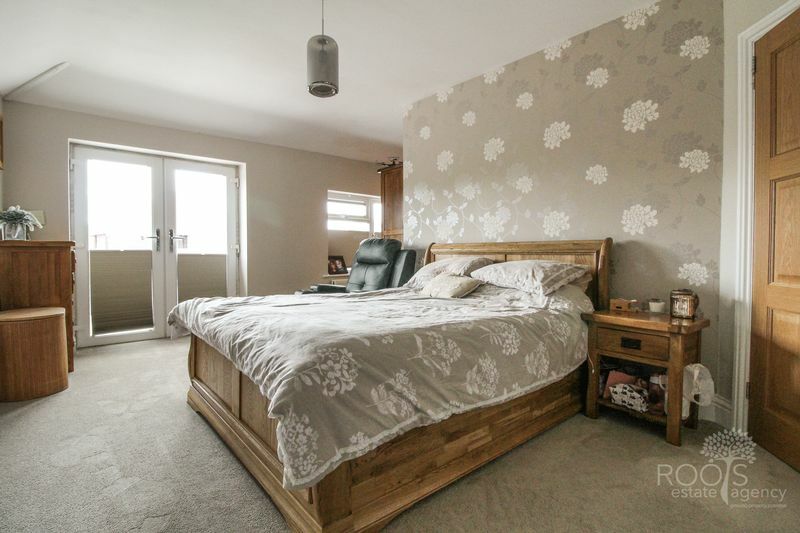 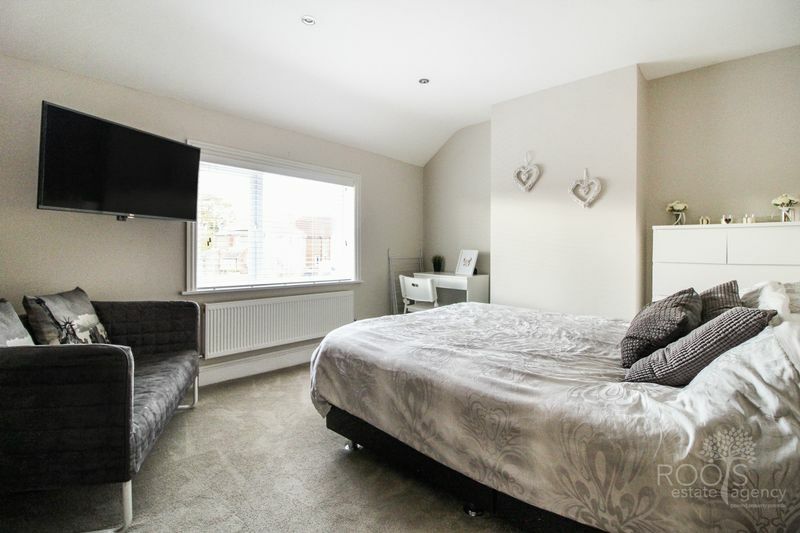 Upstairs, the good size master bedroom has an L-shape dressing area and an en-suite shower room. 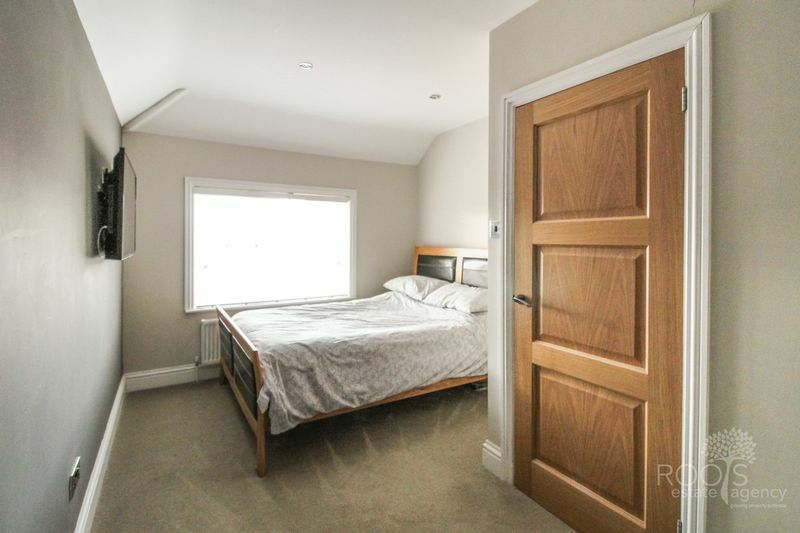 Four more double bedrooms gravitate the luxurious main bathroom with a shower over the shaped bath. 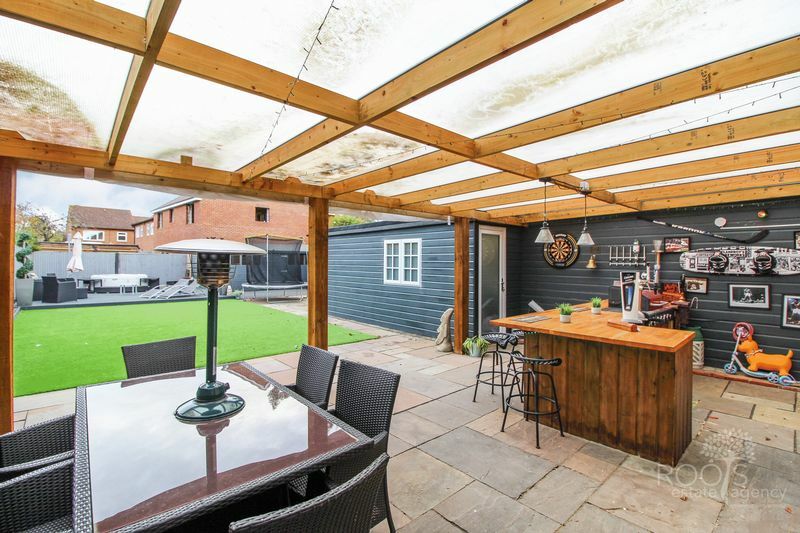 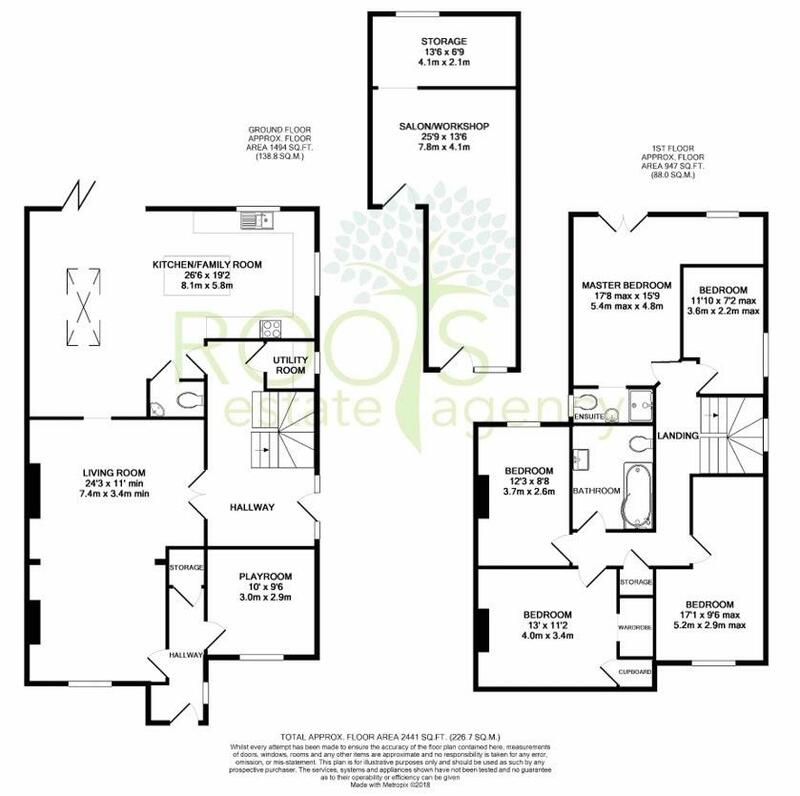 Outside, there is a low-maintenance rear garden with artificial lawn, large patio and a covered entertaining area that can be accessed via bi-folding doors from the kitchen/family room or the salon. 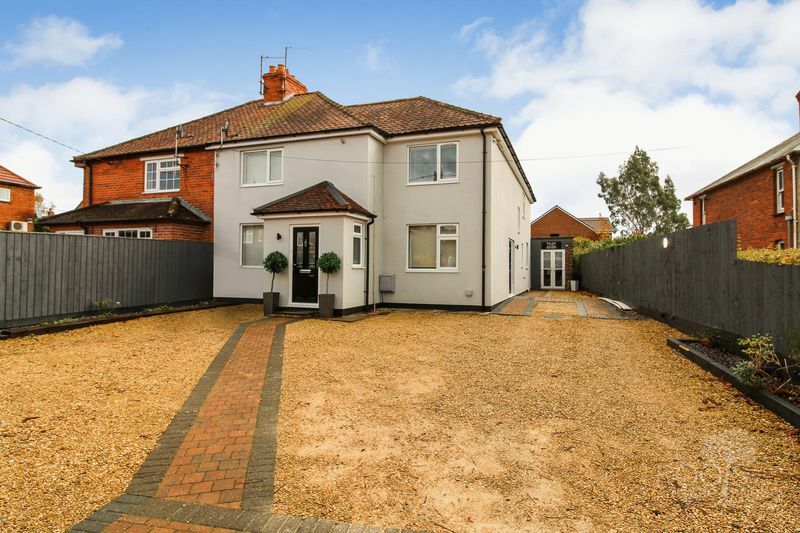 The driveway affords off-road parking for multiple vehicles and extends along the side of the house towards the detached salon. 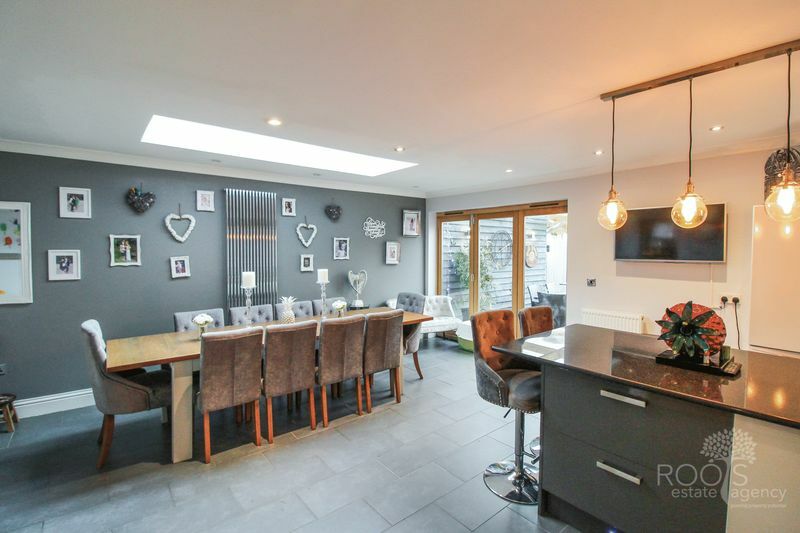 The salon includes power sockets, lights, running water and drainage for its current purpose. 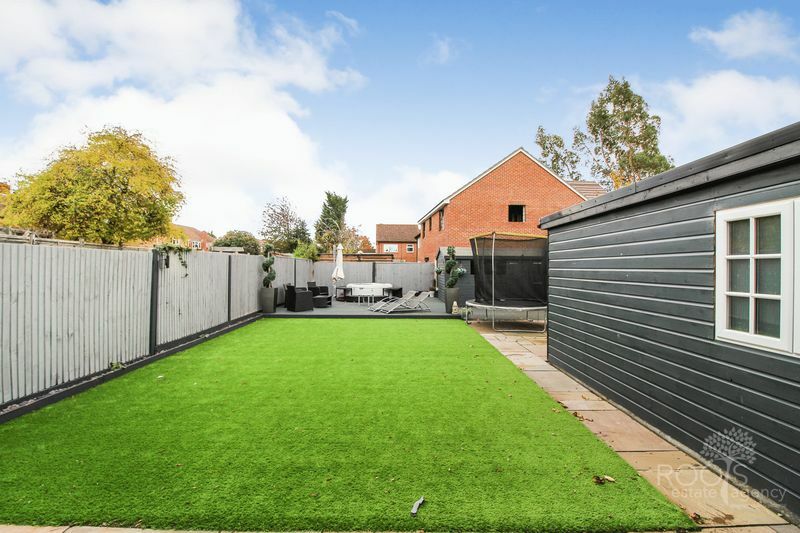 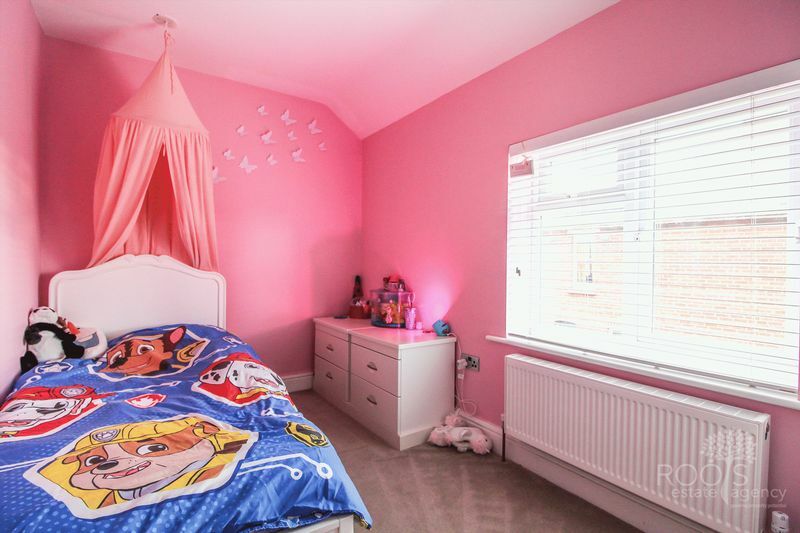 Located on a mature residential road, the property is close to a local Post Office, schools and bus routes into Thatcham and Newbury.